Sometimes I crave a fun twist on potatoes to keep any meal interesting. 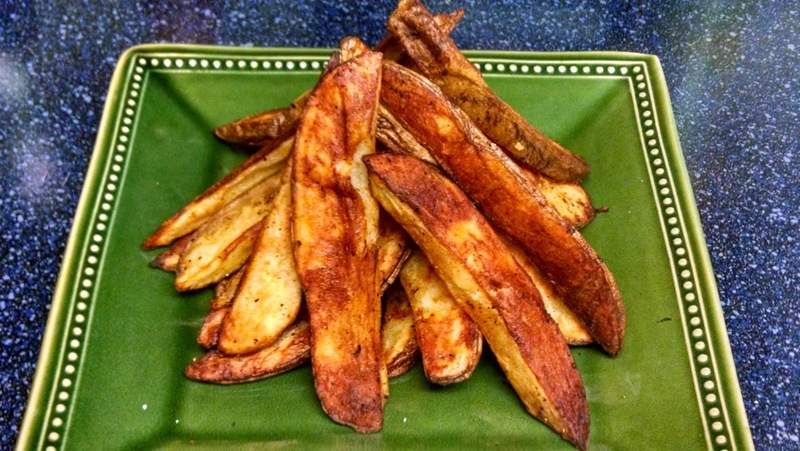 One of my favorites is wedge-cut home-baked fries. Alright, scrub down 3-4 russet potatoes. 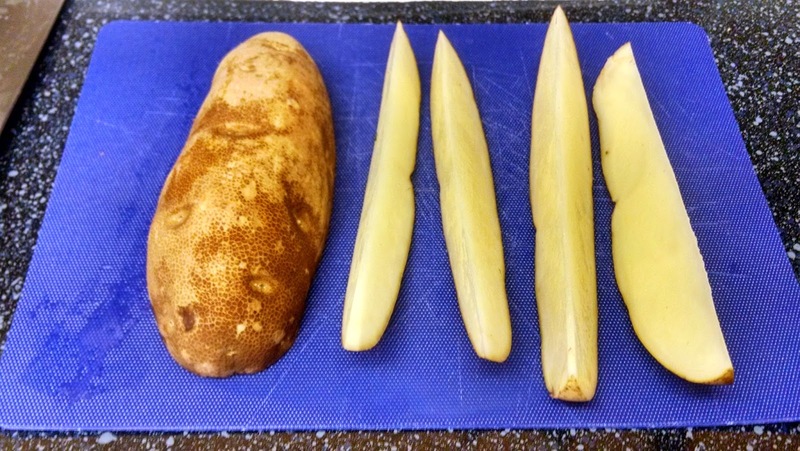 Cut them into inch-sized wedges as pictured above, 3 russets will yield about 20 fries or so. Place the potatoes in a bowl, add with oil (a couple tablespoons should do the trick) and your favorite seasonings — remember, you can use whatever you like as far as seasonings. May I suggest paprika, garlic powder, salt, pepper, with a pinch of cayenne pepper. Turn the potatoes using a pair of tongs to evenly coat them with the oil and seasonings. Heat your oven to 450 degrees. Place the potatoes in the oven on a cookie sheet and bake for 30 minutes. 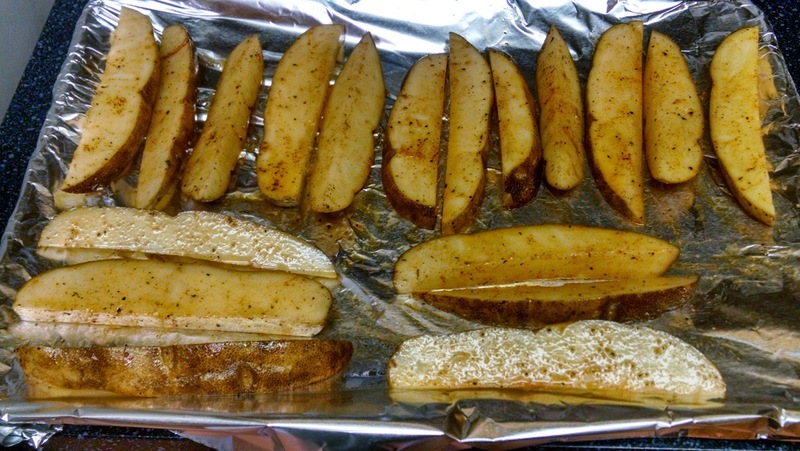 Pull out the cookie sheet out of the oven and turn each of the wedges over, putting the pan back in the oven for about 5 more minutes until the wedges are golden brown and cooked through. 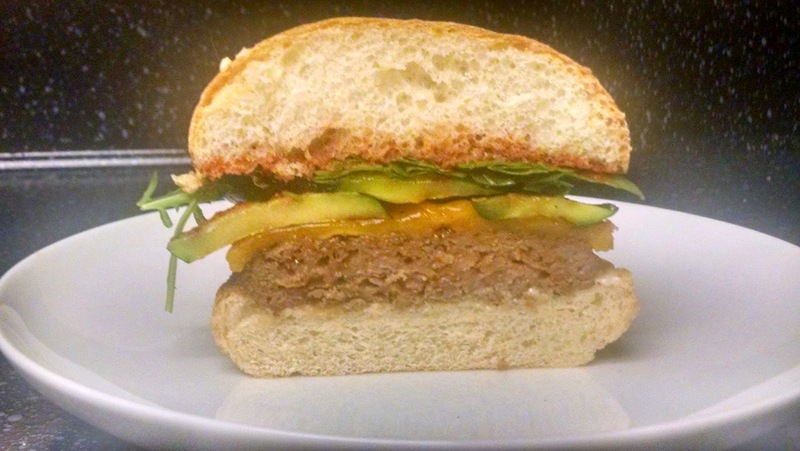 You should end up with something that looks like this…. Boom! Serve this your favorite condiment of choice, such as ranch, bbq sauce, ketchup, or anything else. These are a great side dish for steak, chicken, pork and fish. Seriously, I think we are missing something. I mean all my options listed above are good, right? Yeah, something just isn’t right. Okay, how about I offer up one more suggestion for what you can serve with these amazing potatoes? This is the coup de grace. My cover page, my masterpiece! 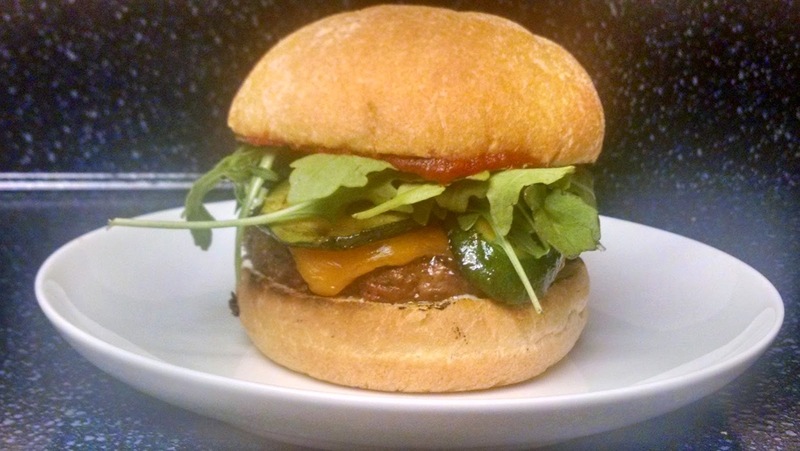 A beef burger with cheddar cheese, grilled zucchini, arugula, mayo or mustard, and some homemade BBQ sauce. We will still cover that sometime in the near future. Feel better everyone? Still not satisfied, eh? Alright, here is one more photo. May the burger and P. Wedge be with you.